A juvenile crime prevention initiative, entitled Project R, taken by New Territories South (NTS) Region was awarded the "Top 10 Outstanding Service Award" in the 2017 Best Practice Awards in Social Welfare. 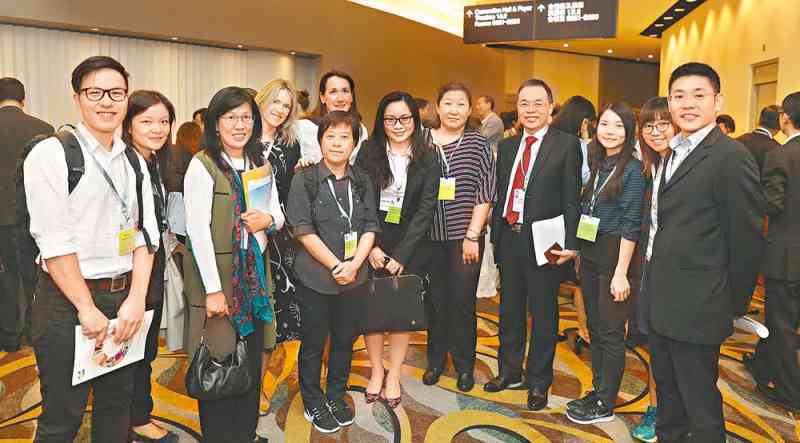 The award presentation ceremony took place at the Hong Kong Convention and Exhibition Centre on November 1, with Chief Secretary for Administration Mr Cheung Kin-chung as an officiating guest. The biennial award scheme has been held by the Hong Kong Council of Social Service (HKCSS) to promote exchanges in the social welfare sector, give recognition to outstanding community projects and raise public awareness of the contribution of the welfare sector. This year, under the theme of "Encourage Community Engagement and Promote Positive Transformation", the adjudicators selected 18 projects for presentation of two Gold Awards, Top 10 Outstanding Service Awards and six Special Awards. Project R has been running by the Regional Crime Prevention Office of NTS in partnership with the Hong Kong Federation of Youth Groups (HKFYG) since 2012. Through early intervention and the 3R aspects - Rational Thinking, Rational Behaviour and Re-connection, Project R aims to assist youth arrestees, victims and witnesses aged between 10 and 24 to re-establish ties with their families, communities, schools and workplaces so as to strengthen their law-abiding attitude and to reduce recidivism. The project has been proven effective as the Force has so far referred over 1 400 youngsters to HKFYG for follow-up assistance.